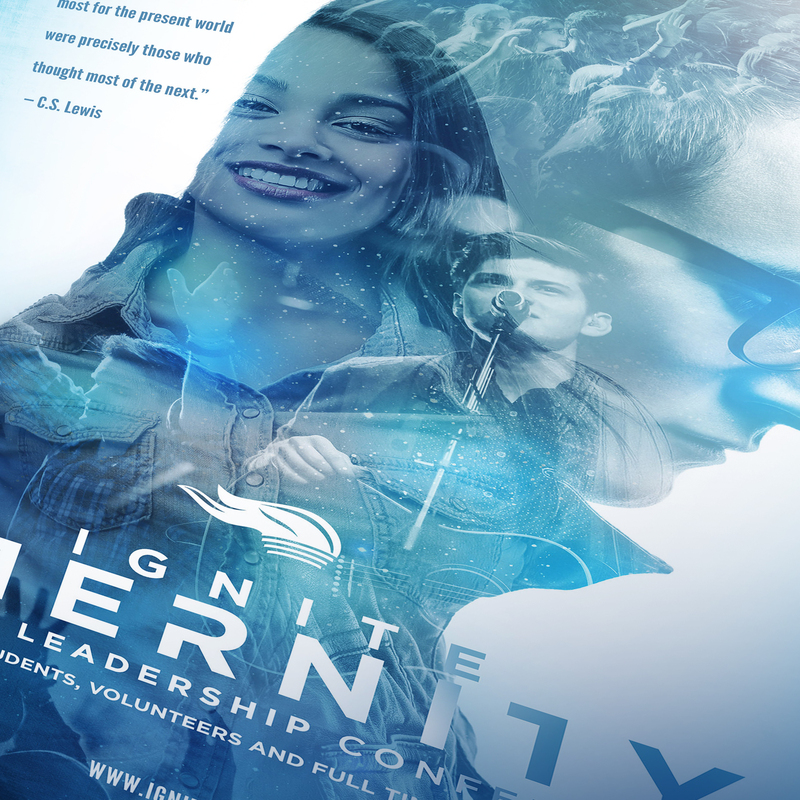 CHALLENGE: After 10 years of branding the Ignite Youth Conference for Grace Church of Des Moines IA., one might think the creative well would run dry. Nothing new under the sun, right? 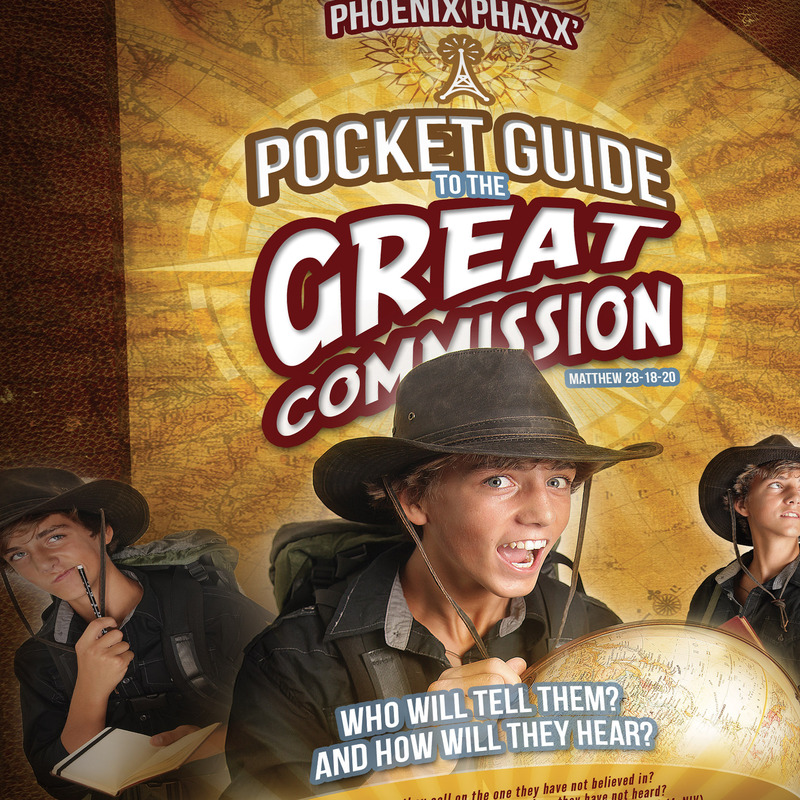 Well, for the first year out of 10 prior, the 'what' of the theme for the conference was prayed over and produced from within the walls of Grace, while saving the horse-power of Robison Creative for the 'how' of the theme execution. SOLUTION: Not one to shy away from concepts derived from outside our own cranial walls, we went back to the creative cave to problem solve and ideate. 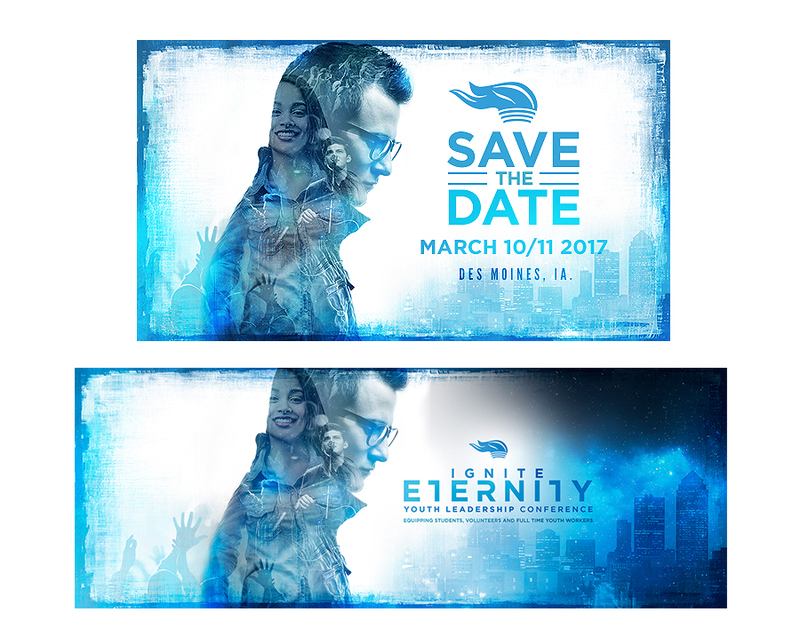 Admittedly, on limited budget, the “Eternity” concept produced a challenge when trying to convey the conference excitement with a significant depth and spiritual reach, so after several rounds in development, we determined to turn our creative focus on the event itself and less on a conceptual interpretation of eternity. In doing so, we knew the message would have to be strong to be able to deliver a proper message 'hook'. 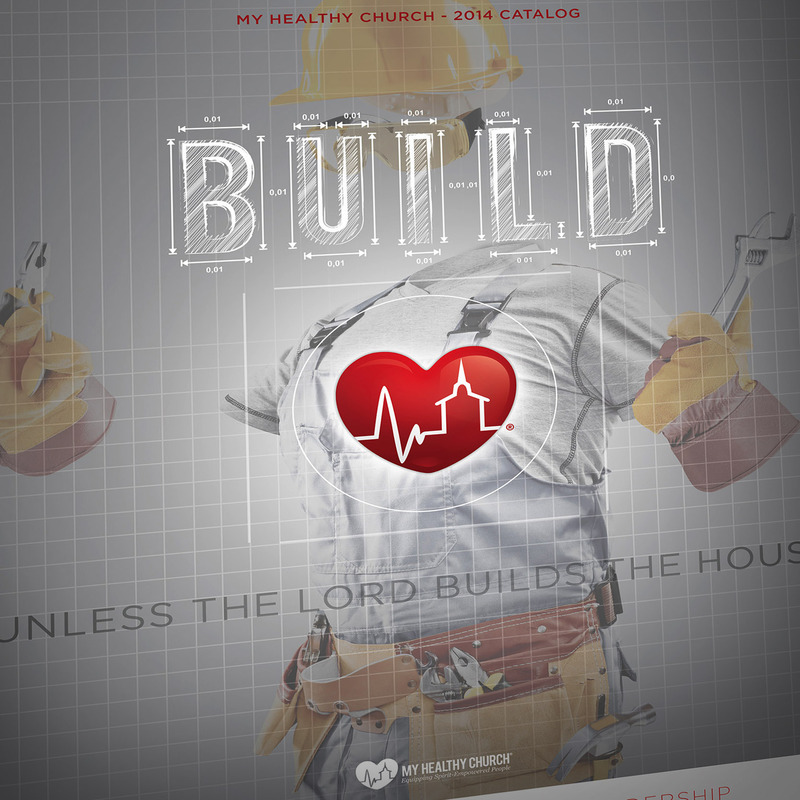 When plumbing spiritual depths for cultural connection, hearkening back to C.S Lewis rarely fails, and what we unearthed was a quote on eternity that sets the tone for the very existence of this years event. “If you read history you will find that the Christians who did most for the present world were precisely those who thought the most of the next.” Boom! Thank you C.S. 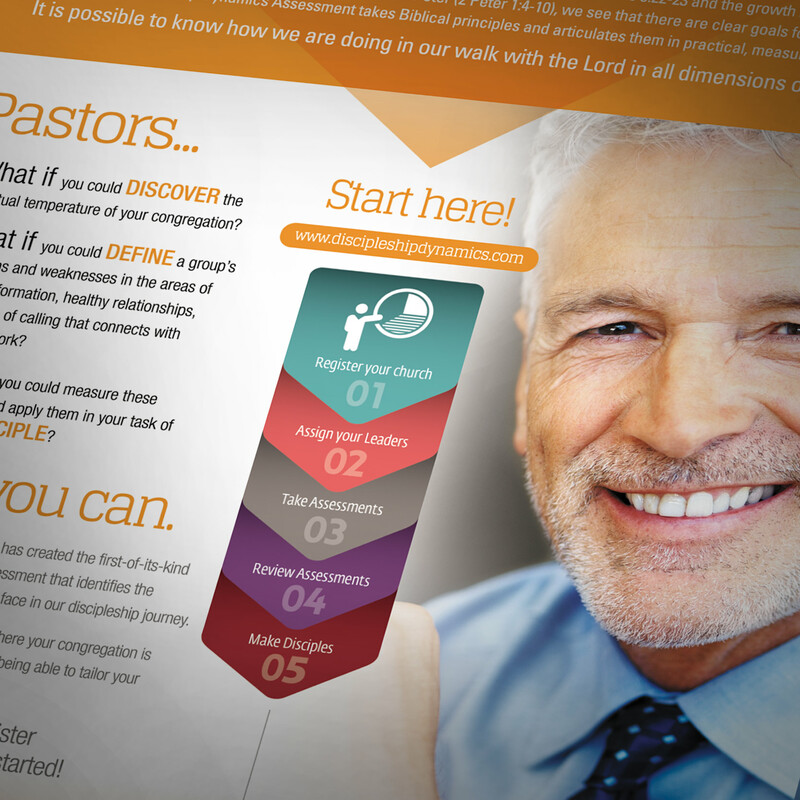 Beyond the deep seed of that spiritual thought, they needed to visually connect with their unique audience of both student leaders and youth ministry leaders, (male and female), while not falling away from a depth of message. The result was an almost ethereal infusion of images from the conference worship experience, a female that represented a warmer spirit, mood, and tone as well as a male that reflected the introspective nature of being brought to contemplate eternity. After over 5 rounds and 30-plus iterations (a first for us), the outcome was an entire ministry team buy-in and excitement around the final solution, and a readiness to move the ball down the field. At current, we are still amidst final delivery on the full website development, email blasts, brochure, and t-shirt designs, but with the heavier lifting on creative concept out the way, it looks to be smooth sailing from here. You can find out more about Ignite at www.Ignite-Youth.org, sign up for their updates and attend in the Spring of 2017. NEXT STEPS: If you are an organizational leader with a mandate to increase your reach or effectiveness in communication, we strongly encourage you to engage us for your next endeavor. 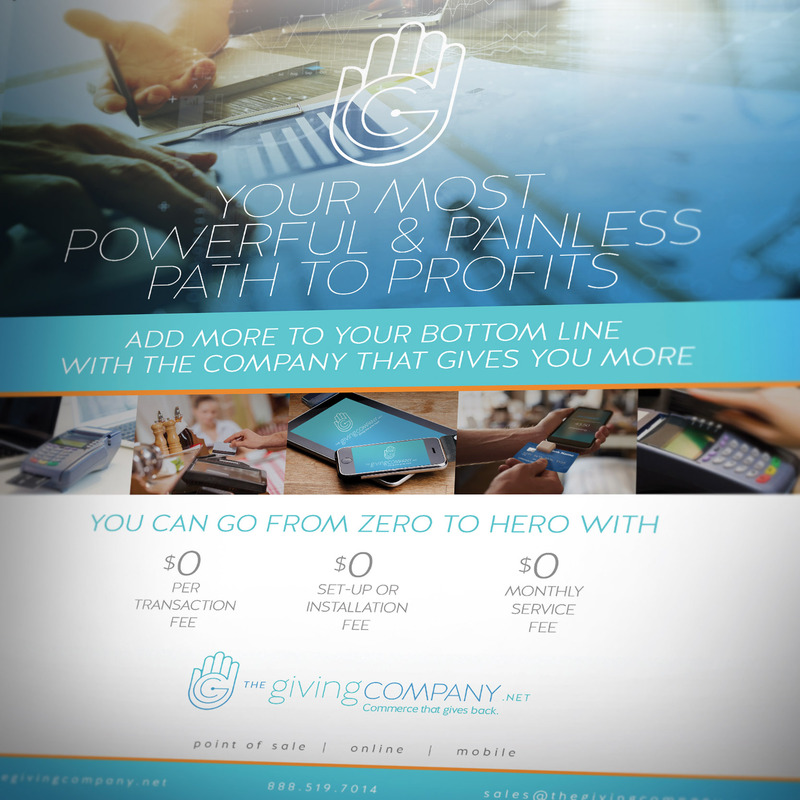 Whether your need lies within core brand strategy, web development, email design, video production, photography, social media deployment or print collateral, we can fill the bill.